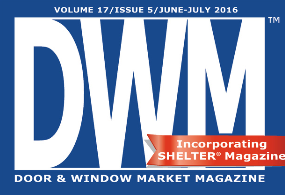 We are proud to be named one of Door & Window Market Magazine’s (DWM) 2016 Fastest Growing Dealers. 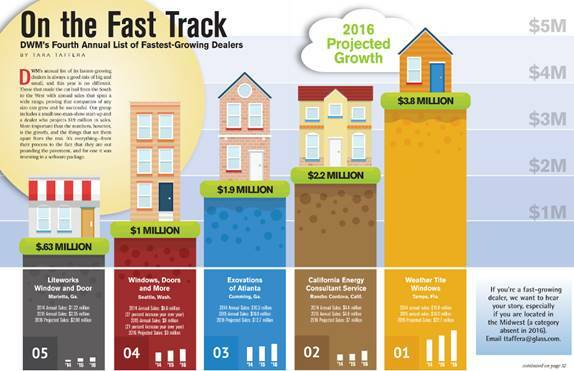 This is DWM’s fourth annual list of fastest growing dealers and this year, California Energy Consultant Service is No. 2 in the nation. We are delighted to be featured alongside other great door and window dealers from across the country. We are grateful that our growth and hard work is being recognized in this way. California Energy Consultant Service has been serving the Greater Sacramento area for over 30 years. Our team members are all highly skilled professionals who specialize in the “whole house” approach to home improvements. We understand our home’s systems do not act independently. One system has a significant impact on another. Therefore, we treat your home improvements as a cohesive unit, not a list of singular, stand-alone projects. We truly believe that our customers are our most important asset and we constantly strive to build strong, on-going relationships with those we serve. We are proud to say that our client base is full of referrals and repeat business. For years, we have consistently maintained an excellent reputation in the Sacramento area specializing in energy efficient services, and we continue to deliver high-quality products and customer services. We have now brought that meticulous attention to detail to our office systems by launching the Improveit360 CRM software. This has given us the ability to automate everything we need to streamline our best practices. This important implementation ensures we can continue to grow our business while not compromising our customer service. We believe that by cultivating ways to enhance the customer experience and attract effective, top-level salespeople, we now have the formula to catapult our business forward. We are also very proud of the relationship we have built with our premium window suppliers. In January 2016, we won Milgard’s Dealer of the Month award and have grown our sales of Simonton Window by 75 percent since last year. A fine-tuned operation, a talented and knowledgeable team, top-quality products and a respected customer base have helped us make 2016 a year of major growth. We look forward to many years of continued development and success! We invite you to take a look at the wonderful article in Door & Window Marketing Magazine. We are so pleased to share this special recognition with you.